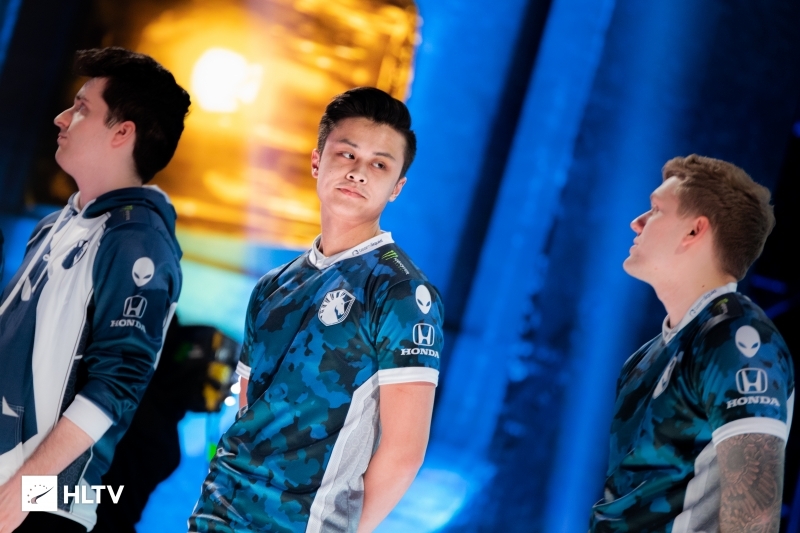 Stewie2K: "I don't think it will take us much more time to get all of the chemistry going"
We spoke to Jake "Stewie2K" Yip in our final BLAST Pro Series media day interview, discussing Liquid's roles, chemistry, and losing to ENCE at the Major. Liquid arrive at BLAST Pro Series São Paulo as a bit of an unknown factor. On one hand, they have the pedigree of an elite team with great consistency in 2018, but on the other, in 2019, a poor Major showing overshadowed their iBUYPOWER Masters win. Talking with the newest recruit, Stewie2K, we learned about how the team dealt with the quarter-final exit, what they are focusing on currently and how the 21-year-old is finding playing Nuke, a map his previous teams didn't really favor. Personally, after losing against ENCE, I couldn't believe it myself. You know, at this level, with our team's prestige, how we failed to close out the game like that with such a big lead... At the end of the day, when we put that all behind us, we just think "at least it came early in the year" and that it's something we can move past. I kind of made a joke about the Liquid effect and finally getting to experience it (laughs), but hopefully with time and with the confidence we build over time, that we can build a mentality where we don't fail to close games out anymore, that we can know that we will close it out and that there's nothing to worry about. Immediately after the loss, Twistzz did the post-match interview and he was obviously emotional and all of that, but he said something about how it would take a long time until you reach a top level or a level where you could be winning a Major. Was that the sentiment you shared as well after the Major, that you need more time, significantly more time to actually gel perfectly? I think Russ was just exaggerating a bit, probably the emotions were getting to him, but I don't think it will take us much more time to get all of the chemistry going. I actually think we're moving at a pretty good pace, it's just about knowing that we're on the same team and we're not against each other... If we don't let our personalities get in the way and hinder our progress and slow us down, as long as we keep an open mind and listen to what people have to say and know that we just have to add to the game, discuss it with the teammates, and progress without any hard feelings or anything like that, then I feel like we can move on pretty quickly and I think we're doing a good job at that. You mention the personalities on the team, obviously just looking at the roster you have some of the most talented NA players, probably the strongest lineup firepower-wise, so is getting the roles and personalities to gel going to be the hard part for you guys? Actually, no. I think we have our roles pretty down and I feel like people know what they need to do when chaotic situations happen and they know who's going first or what your teammate is going to do. We're pretty good at fast pace, and if we have something set in stone and people know what we're doing the trades are really good, we always get the trade kills, but we fail to work together when you play the slower rounds and you really need to talk and when people are in good positions to make plays they need to voice up and say what needs to be done and read the game, pick the enemies apart like a chess game, so that's what we need to work on. We're trying to implement that into our game so that we can have two different styles and use one style against, like, MIBR, but then against Astralis we can use a different style, so we can have more diversity in our game. In the veto here against MIBR, Nuke was in the pool until the last round and you guys actually banned it out. Historically, you personally haven't been playing Nuke a lot on a professional level. Before Liquid your last time playing it was in like 2016 or something like that. How much does the fact that you don't play Nuke individually play into it and how do you feel on the map? It's actually pretty funny, you know how a lot of players like to change their resolution or their peripherals, I think people do that because they kind of get bored of what they're using and they need to switch to get a fresh look at the game. For me, I thought that was the switch I needed, learning a new map. It creates motivation, love for the game, and you know... you're learning again, you're learning drastically, and a lot, from people teaching you a map that you've never played. On this team, with me on it, I'm getting pretty comfortable playing Nuke. We're not afraid of playing it, we just think about the vetos more. At the end of the day, if we have to play it, we'll play it, but if we don't, we probably won't, because we don't want to give an edge to the other team. I feel like I've experienced this before in MIBR, where we have such a good team that we can't let the community's expectations get in the way of our own expectations because that's where the pressure comes from, right? What are your expectations here? I'm assuming to get revenge on ENCE is the minimum, but what are you expecting to do here? Right now it's kind of blurry for us. Personally, I don't really know what our expectations are because we're so focused on ourselves right now, trying to get better in terms of individual skill and team play, so we haven't really compared ourselves to any team. Also, I feel like I've experienced this before in MIBR, where we have such a good team that we can't let the community's expectations get in the way of our own expectations because that's where the pressure comes from, right? That's what affects your mentality and that's when you can't close games and when you can't play to the best of your abilities, when things get into your mind and you're not fully focused on the game. take anyone from EU then? with zews. 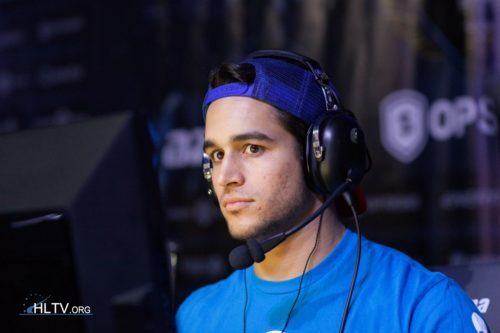 MIBR is still trash. yep, stewie is bot, ure definitely better than him. And where exactly have I said that? If stewie is a bot u should be better no? No, wtf is that logic? Hope you are right. Because the time is NOW. STEWIE OVERRATED. don't see liquid going far in any event if they keeping him. It wasn't really a poor performance, they lost to the team that eventually got second. They went 3-0 in the legends stage. good look stewie and ELIGEao da massa!